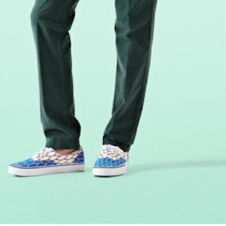 Kenzo has paired up with Vans for the third time, must be a charm. 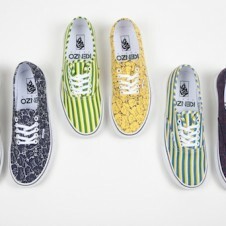 The duo stuck the delectable marble and grape prints from their women's FW12 collection onto two styles, the Vans Authentic and the Classic Slip on. 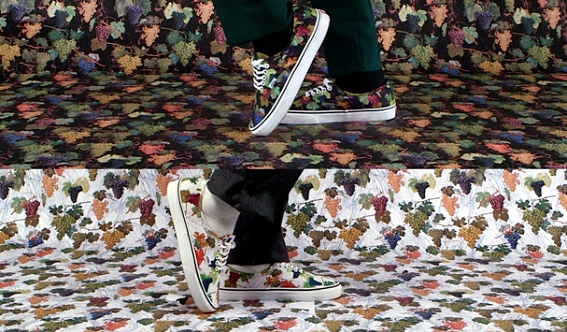 In celebration of their ever-loving relationship, filmmaker Lisa Paclet created a short film that features the collabo shoes toe-tapping and two stepping in the happiest game of footsies we've seen since 5th grade. 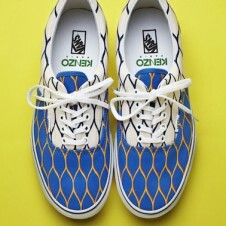 Watch the video below and cop a pair of the Vans x Kenzo collaboration shoes at Opening Ceremony, Kenzo stores and kenzo.com.